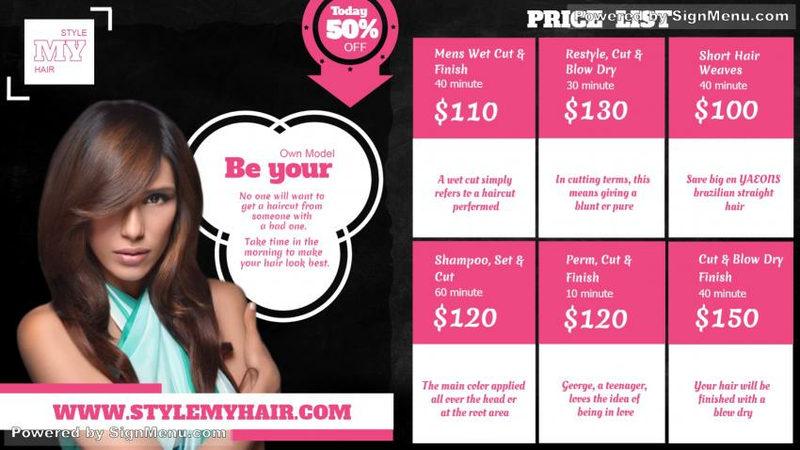 This template showcases the offerings of a hair grooming salon. If this exclusive services are advertised on a digital screen on the salon premises, the impact will induce the desired impact.. Your customer base will increase. Special discount offers / event centered offers can be highlighted on screen. This template provides a benchmark for your actual menu board and is ready for download and use.